If you’ve spoken to a behaviorist or Special Ed Teacher or even just a person who happens to love B.F. Skinner, you might hear them talk about prompting and redirection: a behavior strategy used to decrease unwanted behaviors or increase desired behaviors. This is used in ABA (Applied Behavior Analysis), specifically with children who are diagnosed on the Autism Spectrum. However, it works for other behavior patterns too, and there are many ways to teach it effectively. A prompt: “Cue or hint meant to induce a person to perform a desired behavior. A fancy way of saying this is: An antecedent that induces a person to perform a behavior that otherwise does not occur.” Types of prompts include verbal, full physical (hand over hand), partial physical, modeled behavior by the person performing the prompting, gestured, or just visual (just pointing without any other guidance). I have a lot of prompt, fading, reinforcement and redirection skills from my ABA Training and I’m continuing with the trend by learning PECS (Picture Exchange Communication System) for non-verbal children. Simply put, first, you prompt the desired behavior; then, if the child is unsuccessful, you redirect the undesired behavior. And then you do it all over again. This is a type of behavior modification. I decided to apply all of my knowledge on this subject to one of my middle school students who struggles with staying on topic and focused during our tutoring time. I mean, he can talk about everything under the sun except homework! So here’s The Plan: Whenever he gets off topic, I am to just lay my head on the table in exasperation – like a drama queen. This will prompt him to think about why I’ve suddenly stopped listening and “fallen asleep” on the table. If he gets it, I am to reinforce the desired behavior (his realization that he’s off topic and needs self-redirection back to his homework). If he doesn’t, I am to redirect the undesired behavior (off topic conversations), and then try my self-described drama queen technique again. I tried this technique out tonight during our session, and you know what- he got it! Of course, he thought it was super, duper funny (and it was meant to be.) But after the giggles wore off and I did it again for reinforcement when he started talking about super heroes instead of science, he got it! See I think Tutoring is really more than just homework help. It’s having someone teach a student about the nuances of social skills, turn-taking, perspective understanding, organization, planning ahead and focus. Homework can be used as the basis for teaching these necessary life skills. For kids who struggle with these executive functions and perspective issues, there are lessons within lessons. It’s our application of various strategies, techniques, and principles from across the educational and psychological landscape that really do lend itself to a true co-existing of crossover services. School work should prepare a student for life skills too. I love thinking outside the classroom box, and I’m not afraid to be a Drama Queen to get my point across. I urge you to go against the tradition of coloring within the lines and, instead, branch out to incorporate various ideas from all sorts of models. You might just find the right combination that does the trick for your student. Thank You for Making Our First Year a Success! 50 Tips & Tools: We’ve published over 50 Tips on How to Serve the Whole Student on The Terry Tutors Blog & many more on Pinterest, Twitter, Facebook, YouTube, and Tumblr. Follow Us for More Weekly Tips! 700 Service Hours: We’ve completed almost 700 in-home and at-school service hours specifically in the areas of Academic Support through Private Tutoring, Behavior Support through Family Coaching, and IEP Education Advocacy for typically and atypically developing students in both private and public schools throughout Los Angeles. What can you look forward to from Terry Tutors in 2014? More greatness, of course! We’re excited to continue with our Mission of Collaboration for the Next Generation. With the expansion to Orange County, our One Comprehensive Service for The Struggling Student will be able to help more students and their families move forward successfully in school and in life! The scientific community is really just beginning to put these mysterious pieces of the puzzle together and finally give the general public some real data on the brain science behind ADHD. The educational community, however, is far behind the mark of discovery. Science and technology spearhead change while education and law wait for the numbers to come through. Meanwhile, these students, many of whom are on my Private Tutoring Plus and Education Advocacy rosters, are misunderstood and labeled as a distraction. You have to wonder: how many kids with ADHD are sitting in the principal’s office? As a person and provider who cares deeply about advocating for those who are unable to advocate for themselves, I’m not waiting for education to catch up with what we already know. Instead, I believe we can change the course of these students lives by helping them understand their own behaviors– creating logical, common sense pathways for positive change through honest conversations with students, their parents, and their school; employing trained therapeutic aides who teach appropriate behavior cues and responses; provide our teachers with effective classroom management training with follow-ups to ensure accountability; and advocate for administrative acceptance of a school-wide rewards and consequences system. If you think these ideas are far-fetched, think again. I’ve seen this in action at schools that are willing to take the hard road and work with the individual in need, not by singling the student out and risking social stigma but, rather by incorporating those systems into the classroom for all students. I love the way she summed it all up, don’t you. It’s a simple reminder that we must first acknowledge our differences but also take action, learning to move forward in order to create change for ourselves and those around us. After all, that’s really what education is about anyways– a lifelong journey of discovering something greater than ourselves. April is Autism Awareness Month, and this year it was a time to dust off some good-old-fashioned pencils and get a little education at the Teaching Social Skills That Change Lives Workshop, hosted by the Autism Partnership Foundation. I was super pumped to attend this conference because I tutor so many students from Preschool through Law School who present with various signs of Autism Spectrum Disorder (ASD). It’s a diagnosis that’s really hard for the schools, parents, and even general doctors to pinpoint because there are so many little, tiny signs that one can easily miss. Oftentimes, that’s exactly what happens and it leaves the parent wondering and the student struggling throughout their formal and social education. 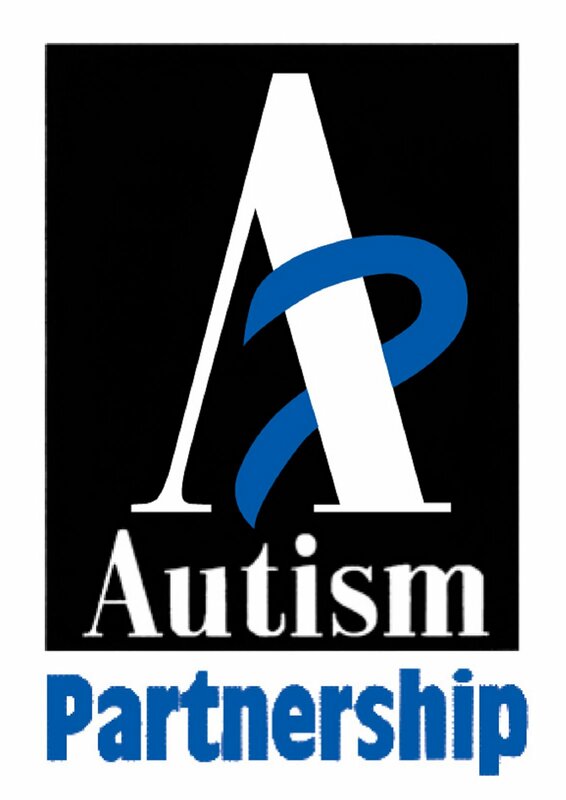 Autism Partnership was formed by a small group of UCLA psychologists in the 1970’s, and since then has been hard at work researching, developing new programming, and educating others both in the US and abroad. They are fantastic! They provide assessments, social skills groups, counseling services, an entire program based on educating schools about bullying, in home support intervention, research, and parent support with one mission: to help the child thrive. I know I’m going on and on but it was just so amazing to hear a new kinder, gentler take on ABA Therapy: less rote and more human. One of the techniques they use, and one that may be intuitive to most of us but not to those with ASD, is this idea of Discrete Trial Training (DTT), a way to break-down every instruction, step-by-step so that the child can learn to process the information in a formulaic way. You probably already do this naturally and don’t even realize it. Here’s how it works: If I say to Kayla, an atypical developing seven-year-old: Hey, Kayla. Would you throw me that ball over there? Kayla might stand there because she doesn’t physically have the ball in her hand so to her, logically, she can’t throw it because it’s not there. She hasn’t yet learned how to read the implied action. Now, using DTT I would say: Hey, Kayla. (1) Do you see that ball over there (pointing)? (6) then throw it to me? Depending on Kayla’s development, those could be a lot of steps and we would have to revisit many of them several times over. When each step is accomplished I would give Kayla verbal praise as positive reinforcement. Then we would practice this action again, until it became intuitive for Kayla. See what may seem like simple behavior for a typical developing child can be very difficult for a child with ASD, but if we can teach these steps in a patient and kind manner we’ve already accomplished so much.